It's time for a new outfit post, in (a lot of) black and (a bit of) white ! I always feel at ease with wearing black and I have to say I am never tired to wearing black outfits. This look has a gothic or even a vampire touch, with this dark lipstick, fingerless gloves with a skull head and my new leather Givenchy Pandora bag you had already seen. Maybe it depends on my latest obsession with True Blood tv serie ? I've been watching all the episodes in a short time...if you are a fan, too, just let me know ! (I am "team Eric", by the way !) ;). E' tempo di mostrarvi un nuovo outfit, in (poco) bianco e (molto) nero ! Mi sento sempre a mio agio con il nero, non ci sono dubbi, non mi stanca mai. Questo look ha un che di gotico e di vampiresco a mio avviso, vuoi per il rossetto scuro, i guantini senza dita con i teschi e la borsa in pelle nera (la Pandora di Givenchy che avevate già visto). Forse dipende tutto dalla mia recente ossessione per la serie tv True Blood ? Ne ho visti tutti gli episodi in un breve lasso di tempo...fatemi sapere se ne siete fan anche voi ! (comunque, io sono "team Eric" !) ;). Lately I've been wearing miniskirts more often than ever. I always wear them with opaque heavy tights, just because I prefer that way, it's comfier and also it keeps my legs warm !. This skirt is from Maison Scotch, I think I already told you I adore this brand !. I matched it with a black and white paisley print sweater from Scooter Plus. The black jacket is from Carla G.
Ultimamente sto indossando minigonne abbastanza spesso, sempre con calze rigorosamente dai 50 denari in su, preferisco così sia per comodità che per...il loro calore !. Questa mini è di Maison Scotch, vi avevo già detto che adoro questo brand ?. Ho abbinato la gonna ad un pull a collo alto a stampa paisley bianca e nera, di Scooter Plus. La giacca nera è di Carla G.
The fingerless gloves with a skull head are just a fun accessory, actually not too comfy cause they tend to slide and cover my fingers ! I was proudly wearing my limited edition bottle of Dior Diorific Varnis nail polish, a black with golden/fuchsia/bronze sparkles color called "Diva". You can see a better pic of gloves and details of the bag underneath. I guantini senza dita con teschio borchiato sono stati più che altro un accessorio divertente, in realtà non sono tanto comodi perché tendono a scendere sulle dita ! Lo smalto che porto nelle foto è l'edizione limitata dello smalto Dior Diorific Varnis, un nero con pagliuzze dorate/fucsia/bronzo quasi impercettibili, chiamato "Diva". Potete vedere una foto dei guantini e dettagli della borsa nella foto sottostante. The black suede and leather boots are one the comfiest pair I own. I bought them about month ago and I love them !. I always succeed in finding something I "really need"...as a vampire I am a failure, I am only good at draining my bank account, LOL !. Gli stivali neri in camoscio e pelle sono tra i più comodi che ho, comprati circa un mese fa, li amo !. Riesco sempre a trovare un paio di scarpe che mi "serve proprio"...come vampira sono un fallimento, riesco solo a prosciugare...il mio conto in banca, ihihih ! :-). 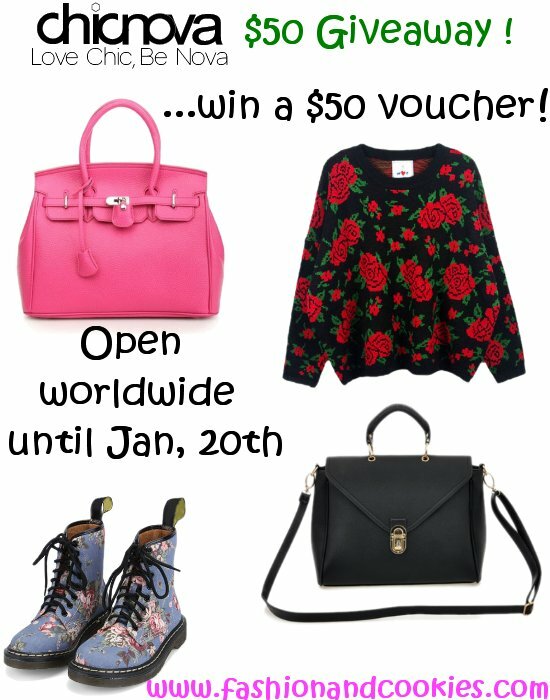 Don't forget about the amazing international giveaway going on this blog, you can win a $50 gift card on Chicnova to buy whatever you want to, you find all the rules and the form to enter clicking here !. Good luck ;) !. Wow! Stunning look :) You look gorgeous in all black. Your sweater is AMAZING. I want it lol. You always look so stylish, put together and feminine! Con il nero non si sbaglia mai. Bellissima la borsa. I wear them all the time, even in summer! I want to ask you about the Pandora bag. Is it easy to use? I've seen many celebrities carrying it, but I think it would be very uncomfortable for me! Ciao Vale come stai bene con la gonna!! Mi fa piacere che ci siano altre vampire in giro....almeno non mi sento l'unica prosciugatrice...ah ah ah!! Hai fatto benissimo a prendere gli stivali,sono davvero belli! fantastica!i guanti sono stupendi davvero! Molto particolare la maglia: mi piace! This is such an elegant outfit! I love the top and the shoes. mi sono innamorata della tua maglietta pizzo style! Che bella vampirona....quegli stivali mi piacciono da matti, li vorrei anche io!! Beh oggi arrivo all'una e 20 ma posso fare ancora meglio! hey, Vale! I had some trouble seeing your posts but now it's okay, I think since I started following over again :) don't know why but I have those issues with some blogs. anyway, once again you look utterly elegant and chic. that's what I love about your outfits the most. oh and my favourite piece has to be this super classy pair of boots! Mi piace moltissimo questo look, sopratutto gli stivali e il pull. You look gorgeous, I love the outfit. I am now following you on GFC, I hope you will follow me back. mi piace molto la tua maglia, e tutto in generale! !anche io stravedo per TB, e anche io sono del team Erik la svezia dopo ikea non delude con i biondoni! devo dire che tu in mini stai propio bene!! non ho più mini nere sai? Fantastica! Mi piace molto il bianco con nero! il look è di gran classe,tutto in generale!! ty for ur comment on my blog dear. Enjoying your blog! The vampire look is both chic and fun! 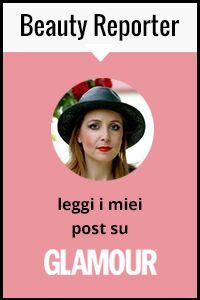 http://tickledpinkwoman.blogspot.com T.
adoro troppo i tuoi stivali! Sono fantastici! such a chic look! The bag is to die for, which I've probably mentioned several times ago already haha, and I totally fancy the boots. The blazer is tailored so well.. sophisticated woman! Hiya. I love love looove your boots! Una gioia per gli occhi!! Gorgeous look! Thank you for stopping by my blog and your sweet comment! I've followed you on GFC and Bloglovin!